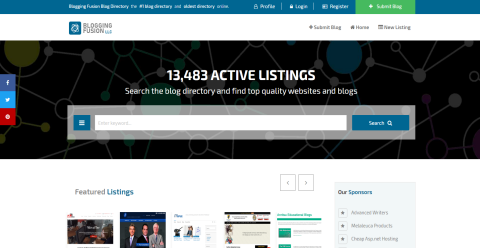 Just love this directory keeping coming back just to check out the new blogs. Keep up the good work! I get a great deal of exposure, from this directory and just wanted to thank you guys! keep up the good work! What a great resource for website owners, found you guys on twitter and your doing a good job here. Just wanted to let you guys know you rock, your blog directory has increased my traffic and I didn't really think it would amount to much. But it has and I am grateful! Keep up the good work guys!